For the Love of Grenada: SGU Students Present EC$1 Million Donation of Medical Supplies from Project C.U.R.E. St. George’s University students and administration hold a press conference with the Government of Grenada to announce the donation of EC$1 million worth of medical supplies from US-based healthcare non-profit Project C.U.R.E. 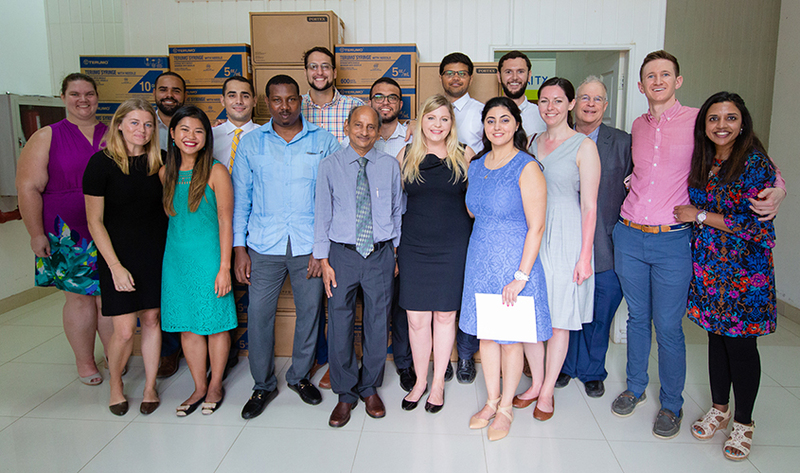 The donation was spearheaded by medical students from the SGU Global Surgery Club and involved two years of preparation, fundraising, and logistics. After two years of fundraising and preparation, students from St. George’s University Global Surgery Club recently presented a donation of medical supplies and equipment valued at EC$1 million to the Government of Grenada from US-based medical non-profit Project C.U.R.E. (Commission on Urgent Relief and Equipment). The 40-foot container packed with much needed healthcare provisions will be used to furnish a new operating room and intensive care unit at the Grenada General Hospital, as well disbursed to surrounding clinics. These vital supplies range from operating tables and orthopedic surgery packs to sutures, scalpels, and basic IV lines and fluids. The brainchild of SGU Global Surgery Club Past President, Joshua Carlson, along with current President Amanda Hughes initiated contact with Project C.U.R.E. and were instrumental in leading the coordination efforts to make this donation possible. Working closely with the Ministry of Health, Medicine with a Mission, D’Amore Personal Injury Law LLC, and other SGU student organizations, the group was able to raise approximately US$20,000 toward covering the cost of shipment, logistics, and administrative expenses involved in bringing the container of supplies to Grenada. According to Dr. Rao, this is just the beginning. In two years, a study will examine how the supplies were utilized. He hopes that it will encourage other donors to give generously in the future. 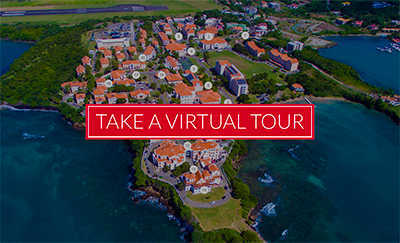 https://www.sgu.edu/wp-content/uploads/2018/04/20180423_0219-1.jpg 500 845 bpmauser https://www.sgu.edu/sgu-main-website/wp-content/uploads/2016/01/SGU-Signature-Horizontal-SPOT-300x55.png bpmauser2018-04-27 18:48:032018-04-27 18:48:25For the Love of Grenada: SGU Students Present EC$1 Million Donation of Medical Supplies from Project C.U.R.E.